Enjoy with rice and spicy pickles or papads..
Tastes yum with ghee rice! wow! love this dal curry! Moong daal is one of my favourite daal. A comforting and healthy dal!! dal is such a comfort food at my house..this looks delicious. Very healthy daal...daals are always so good. Love moong dal.Looks very comforting and yum! Yummy dal curry. Love to have with chapathi. My fav anytime..simple, delicious n always comforting! Dal looks so delicious and comforting. Excellent preparation. 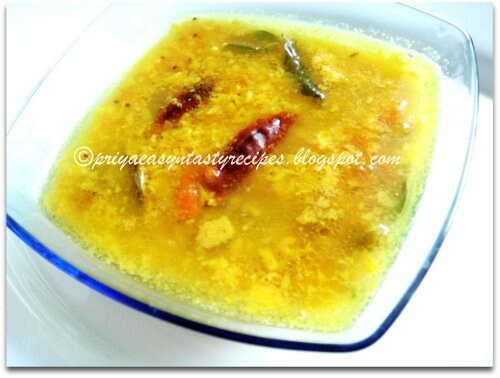 Quick and comforting... We make similar to this for a quick meal with pappad or potato fry... Nice clicks! Looks yummy, my comfort food with Rice ..yum! This appears atleast once a week in my menu...looks delicious.. Comforting and healthy dal,looks yummy. Healthy and comforting dal curry. love it. wonderful comfort food...its my fav. Nice one -my comfort food anytime...i temper it alternatively either garlic or ginger to give a different flavour. My fav among dal preps..Looks too good..